Does Your Baby Need To Have “Tummy Time”? lay your baby on your chest and talk to them, you will encourage them to lift their heads and look you in the eyes. each time you change your baby’s diaper, roll them on their stomachs for a few moments. Give them supervised time on their tummy on a playmat or on the floor with a variety of toys or interesting objects around them. They will move in their own way to grasp what they want, and develop other movement skills during the process. Note: if your infant does not appear to like lying on their stomach, this could be an indication of spine or nerve irritation and it is best to have them checked by a Pediatric chiropractor. Curious to find out more? Call or email for your complimentary consultation. Sometimes I forget how much my own lifestyle and the food I choose has changed over the years, and that for many people there is still such confusion about what a ‘healthy’ diet is. I get it, with so many diet fads, weight loss trends, and constant new research it CAN be confusing. Not to mention the fact that every human being has their own biochemistry, deals with stress, and may have some toxicity in their body, so some ‘healthy’ foods may be problematic for one person and great for another. My observation is that many people are typically over fed and undernourished, consuming calories, and sometimes too many, that don’t really provide cells with what they need to thrive. Choose REAL food, and avoid processed and packaged food. This means Plants (vegetables! ), local meats, seasonal fruits, and healthy fats. It’s super simple. If you start with this, you can’t go wrong. You’ll give your body food that is nutritious and not full of added sugar, salt, artificial ingredients, colours or preservatives. 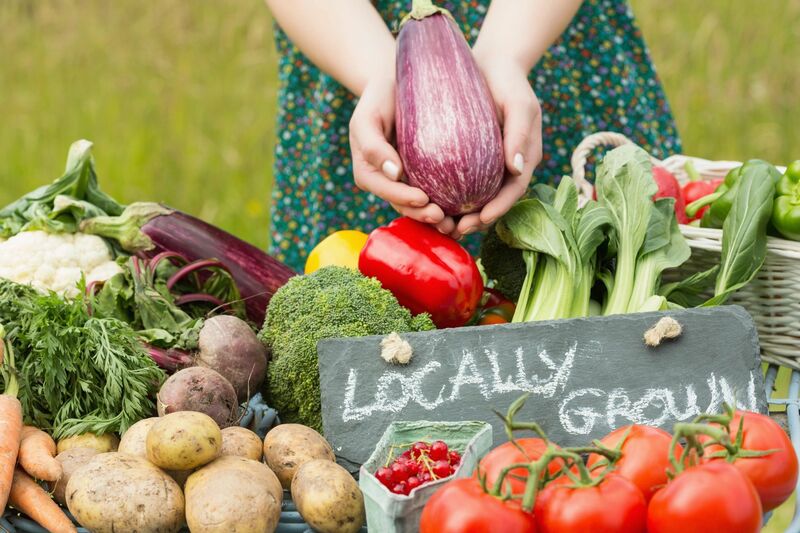 Shop at local markets, buy from farmers as much as you can. Do I have an opinion on other diets? Sure do. I’ll often recommend different programs or books for different people in my practice depending on their situation, but most people just need to get back to eating real food. Today you can start with these simple guidelines, and when you’re ready or feel like you have a different health goal or maybe a health challenge to overcome, reach out and we can find something that might be more suitable for you. Choose to give your body what it really needs and you’ll never look back. Your energy will improve, you’ll sleep better, likely you’ll lose weight and start to want to make other positive steps toward a healthier lifestyle. Can Chiropractic Help With Breastfeeding Challenges? I’m a huge proponent of breastfeeding. It’s nature’s perfect food for a growing child, and benefits the mother and child in so many ways. What’s always been interesting to me though, is that for something so natural to human development, it doesn’t always come easy. 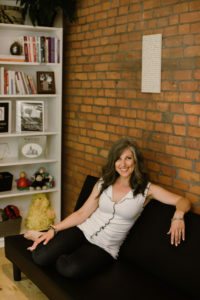 Many women in my practice have struggled with breastfeeding, and with my two sons I think I dealt with every challenge known! Still I was able to breastfeed them both until they were almost 2, and can easily say I had a great experience with it overall. One of the reasons infants might not be able to nurse effectively is because they cannot easily turn their head or open their mouth equally on both sides. The great news it that this is easily remedied with gentle care from a Pediatric Chiropractor. Do you notice your child fusses more with one breast more than the other? Seems to pull off the breast or you can feel their latch is not as strong on both breasts evenly? Do you find you have to adjust their position when feeding them on one breast? Do they still seem hungry after feeding them on one side more often? If you can answer yes to any of these questions, consider Chiropractic care. It may be that a few adjustments are all that is needed to help your child reap all the benefits of breastfeeding for as long as you both choose it. How Does Stress Affect Your Spine? Rarely a day passes in my practice without the topic of stress coming up. Sometimes people share what’s on their mind, other times I can just tell by what I observe in their body and the changes in their spine. People think I have super powers, and I have been called ‘magical’ at times, but after a few laughs I always remind people that it’s a more scientific than that. How Does The Body Adapt To Stress? The body is an amazing organism with a built-in system to help us adapt to something our brain perceives as stress. 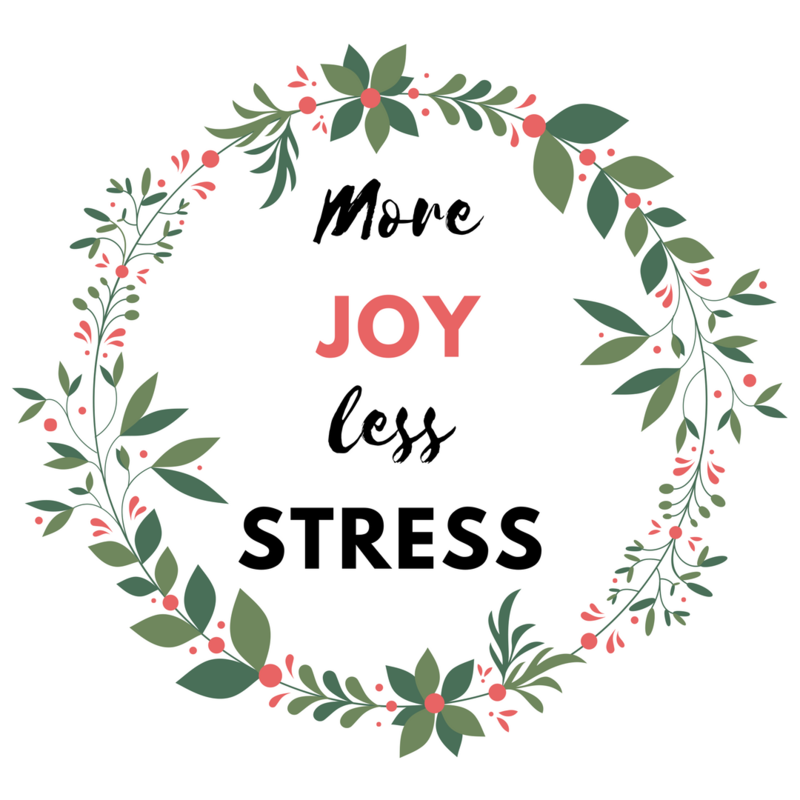 Regardless of what the stress is (this can be rushing your children out the door to school, driving in poor weather, trying to meet work deadlines, an argument with your partner, or anything!) 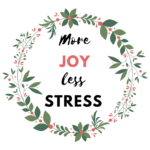 our body always responds to stress the same way: muscles tighten, cortisol is released, organs react, tissues deteriorate, and the body starts to break down! This process will first cause dis-ease (lack of function and harmony in the body), then dysfunction, then symptoms, then illness, which is what I observe clinically. Why does this matter to me as a Chiropractor? Because stress affects the spine! Spinal subluxations are caused by STRESS – physical, chemical and mental/emotional. If we only address the subluxations with adjustments, we might not be addressing the real cause of the problems with your health. It would be like chasing the effects of stress on your body, rather than really dealing with the cause. 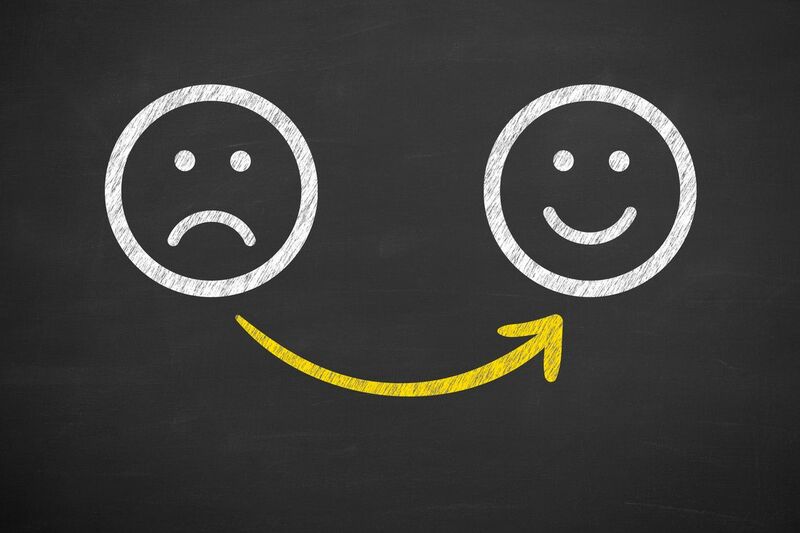 My observation in the past 16 years has been that the choices people make outside the practice (exercise, nutrition, sleep, good relationships, positive thinking, hydration etc.) have a huge impact of the results they will obtain with chiropractic care. Finding the cause of stress in your body and helping you make positive changes is part of my goal with each person in my practice. At THRIVE my mission is to help people do just that – THRIVE! In all aspects of their health and life. 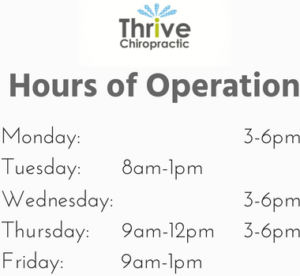 This is why there are so many other opportunities to improve your health in this practice that complement spinal care. It’s this type of holistic care that helps people I work with make longer lasting changes to their health. Attend a workshops, join one of our group programs, borrow a book from our library, watch the videos, take responsibility for your health and empower yourself with more information. You deserve to stress less, and feel and function your best. Your body is always either moving closer to dis-ease or closer to pure health, and this is largely dictated by your lifestyle choices you make every single day. It wasn’t too long ago when I was making lunches for my sons, and able to control the majority of food and beverages that they put into their bodies. At 16 and 12, it’s a little different now. Whole foods, locally grown and in season are great starting points for family health. However, trying to combine healthy choices with the preferences of your child, and potentially the influences of other children can be a challenge for many parents. I’ve been there too. As a health professional I found it especially challenging because much of my work relates to building health in the body, and with everything that I know it’s been hard at times to not get fanatical about food! Get your children involved. When my sons were younger they always came to the farmers market with me, we visited local farms, had our own plot at a community garden for a few years, and they’ve always been in the kitchen with me cooking. Now I give them a list of food to prep for dinner the nights I’m busy in practice, and they are actively involved in choosing meals for the week. I doubt they would have this appreciation for food had we not spent hours together when they were younger. Start Early. I often joke with my sons that at least I was able to make sure their food was super nutritious in their earlier years when their brain was rapidly growing! Offer your baby, toddler, and child an abundance of healthy food and they will grow into healthy kids with an appreciation for healthy food. Model good choices. You can’t expect your children to choose vegetables, fruit, lean protein, good fats, if they never see you eating them! Your children might not always eat the meals you prepare (been there) but they are always watching and learning. Lead the way as the adult and stay consistent as much as possible. If you are going to indulge on occasion (and yes you should) talk to them about balancing healthy options. Looking for a little inspiration? Take a look at some of the books in the practice lending library, and take one home to borrow. This is also a topic at our Healthy Families Collingwood monthly gathering! This Saturday September 27, 10-11:30am. Join me for coffee and a conversation with other families about helping your children have a successful school year. Ice Or Heat? What’s Best? The best answer to this common question is “It depends on your injury”. Inflammation is part of the body’s natural healing response and is actually a positive reaction. With any injury, tissues are damaged, and your body adapts by sending more blood to the injury site. With this increased blood supply, inflammatory cells such as leukocytes and macrophages get to work releasing proteins which clean up and heal the injured site. The area is tender and sore, (which is a reminder for you to be gentle using it!) but your body is effectively trying to repair the damaged area. Keep in mind though, inflammation and pain is your body’s way of telling you to stop and take action. 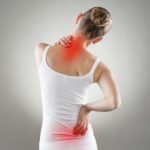 The purpose of inflammation needs to be respected because essentially it is a protective response from the body to prevent you from doing further damage to yourself. When you apply ice to an injury, the blood vessels constrict, temporarily limiting the blood flow to the injured site. 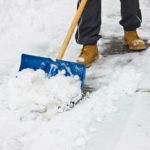 The cold temperature inhibits the pain response, so although ice can often provided some pain relief, it can also delay healing. When you apply heat to an area, the blood flow increases which can help deliver more oxygen and nutrients to a more chronic problem and support healing. However, for this reason, too much heat can also contribute to further inflammation. 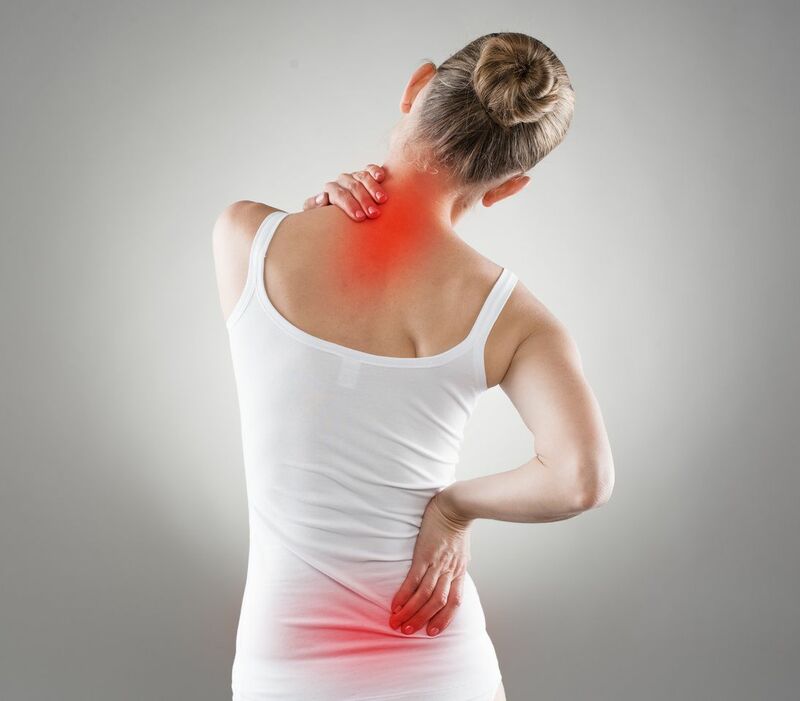 Applying heat can help with muscle aches, pains and general stiffness but should never be applied to a new injury or an area that is painful or swollen. Again, it depends on the injury. If you have a new injury such as a strain or sprain, and you feel you need some pain relief, applying an ice pack is a good option to provide temporary relief (certainly what I recommend more than taking a muscle relaxant or ibuprofen) and it will help the healing process. 10min on/10min off cycles throughout the day (NOT consistently, your body needs breaks to effectively use the therapeutic benefits. When you apply ice to the injured area you will either feel relief or mild discomfort due to the cold. Often the sensations you feel with icing is pain-tingling-numbness. Once the ice is removed at the 10 minute mark, the area should be numb. The body will then react to re-warm the area with gentle blood flow to supply the tissues with oxygen and nutrients. This reaction will not occur if the ice is left on too long. 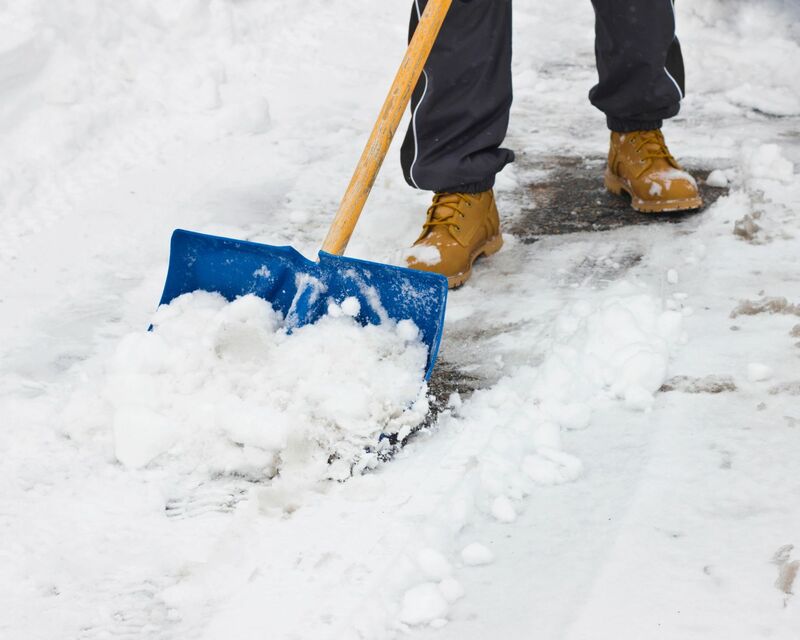 Ideally ice should be applied as soon as possible after injury, and in cycles for the first 72 hours of acute trauma. Remember, the body knows best! As far as healing goes it’s best to let inflammation run its course. This will take time, perhaps even longer than you would like, but ultimately you will be rewarded with improved and more complete recovery. Bumbos & Jolly Jumpers – Are They Good For Your Child? As much as I am a believer that what your child really needs is you, food, clothing, shelter, and your love and attention (and not all kinds of fancy contraptions), but I remember my sons early years and there are certainly some contraptions that can make your life as a parent a little easier! However, when it comes to using baby gear, we want to ensure is that they are in fact offering benefit and not creating any harm. Considering these suggestions can ensure your wee one grows healthy, strong, and straight! 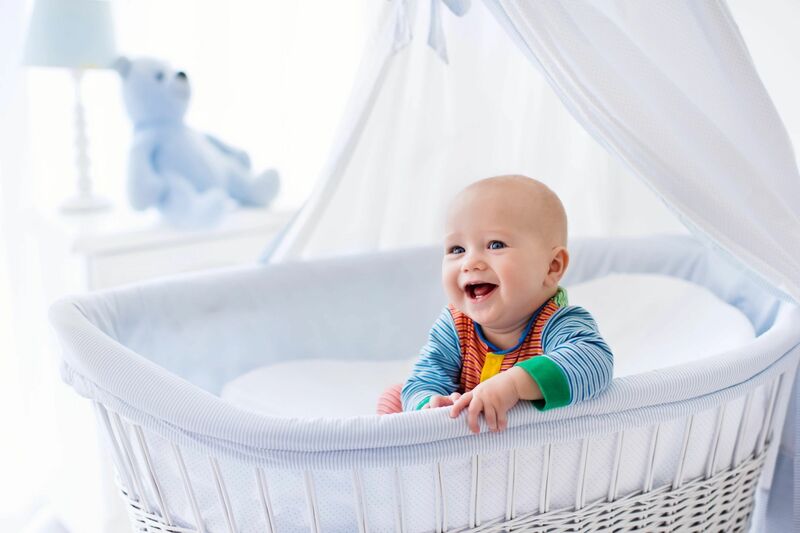 Before you read any further, I suggest you read this post about the basics of infant development, it will help you understand your baby’s growth and make better choices for using all types of baby gear. Bumbo – I find these highly useful, but only for a very short period of time. When I’m adjusting infants it can be convenient to have them sit in these little seats, and surely parents find them helpful at home too, especially when starting to introduce foods. 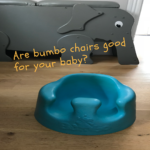 This is an important timing consideration: when infants are ready to start solid foods, typically around 6 months, they are often ready to start sitting on their own too, and this is precisely when a bumbo seat can be useful, once they have started to exhibit signs of sitting independently. If you rush this, and place your child in a seated position before they are able to sit on their own, it can impede the development of necessary muscle tone for sitting, creeping and crawling. Many babies will develop bottom scooting (not ideal) to try and get where they want to go, which is not good for joints or development of lower body and torso tone. Children are unique, so it’s important to watch your child! Once they have started to sit with some assistance (4.5-6 months) it’s ok to use a supportive device like a bumbo, but I don’t recommend them before that milestone. Jolly Jumpers –Placing infants in an upright position before they have gained the strength in their core, hips and legs to do so on their own can lead to instability within the spine and hip joints. This is main reason why the majority of Pediatric Chiropractors do not recommend infants be placed in jolly jumpers prior to this developmental stage, if at all. The premature stress they place on the hip joint can lead to problems in the spine and nervous system later in life – many of which we see in our practices and need to correct! Now if you think jolly jumpers are the most fantastic thing in the world, we encourage you to either wait until they can hold their head up and have complete neck support; or even better, consider waiting until they are crawling until introducing them. Remember that children should be no heavier than 28 lbs when in these devices, they must be securely attached as per the product guidelines, and infants should certainly never be left unattended while in them.